I’ve been to most of the regions of Italy, but not yet to the island of Sardinia (Sardegna in Italian). 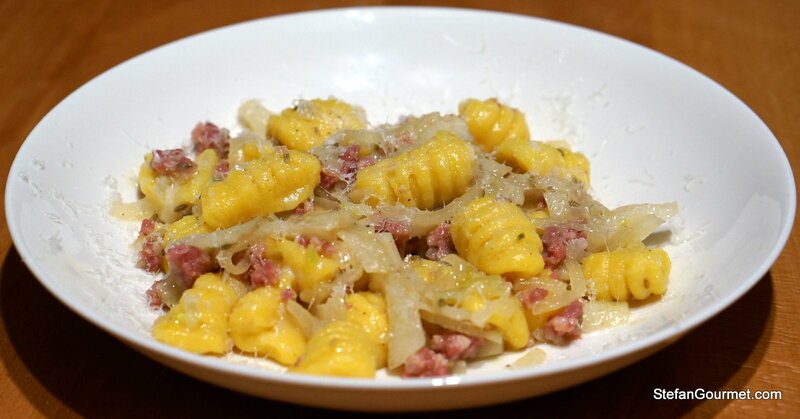 Owen, one of the long time readers of this blog, requested a recipe for malloreddus, the typical pasta shape of Sardinia. At first I thought I had never heard of them, but then I realized that they are also known as “gnocchetti sardi”, and that DeCecco produces a dry version of them. I did some research and talked online to someone from Sardinia and found out that malloreddus are made from semolina flour and water, and that on Sundays saffron is added to the water (as saffron is too expensive to use on a daily basis). I also found out that malloreddus are most famously served alla campidanese, which means with a tomato sauce with Sardinian pork sausage and saffron. 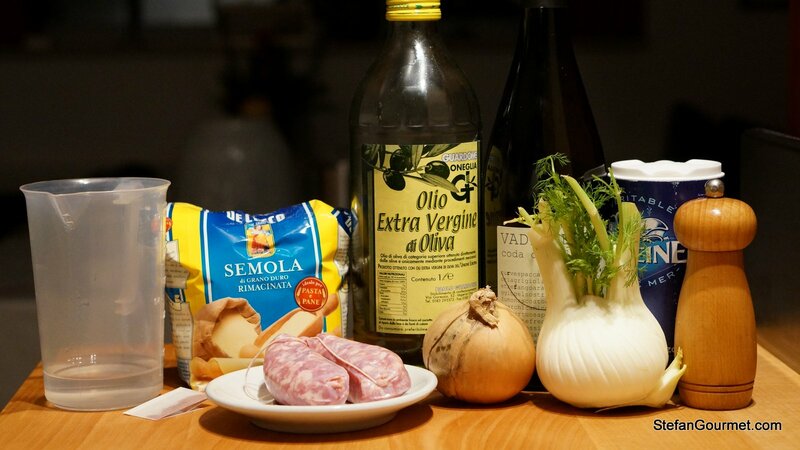 Owen suggested a sauce of fennel and sausage, and since this was his idea in the first place I decided to stick with that for my first experiment. I did simplify Owen’s recipe for the sauce slightly, more in line with how I think an Italian would prepare it. 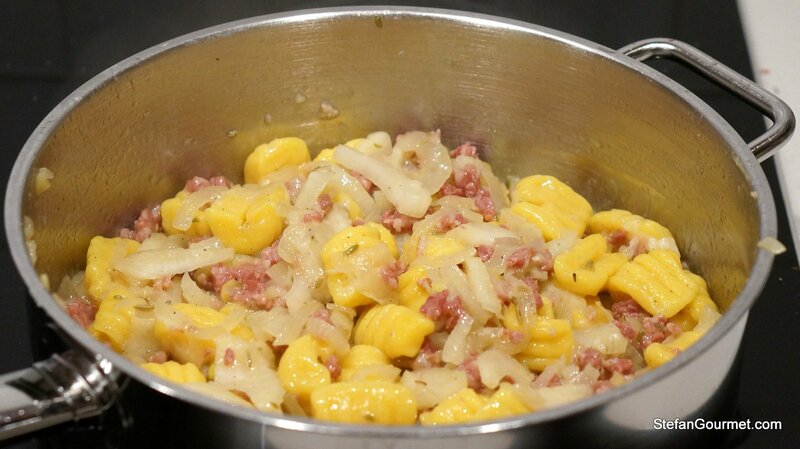 The sauce was amazingly flavorful and it would also be great on another type of short pasta or on store-bought gnocchetti sardi by DeCecco. So even if you are not going to make your own malloreddus, I urge you to try the sauce! The malloreddus came out well for a first attempt. I do not own the ‘instrument’ that Sardinians use to make them, so I had to make do with a fork instead. Next time I will try to make them a bit smaller and thinner. I want them to be only 2 cm (.8″) when they are cooked. The saffron gives them an amazing yellow color, but it is hard to taste. The saffron is probably easier to detect when it is added to the sauce instead. Of course the appropriate cheese for this pasta is pecorino sardo, sheep’s cheese from Sardinia. 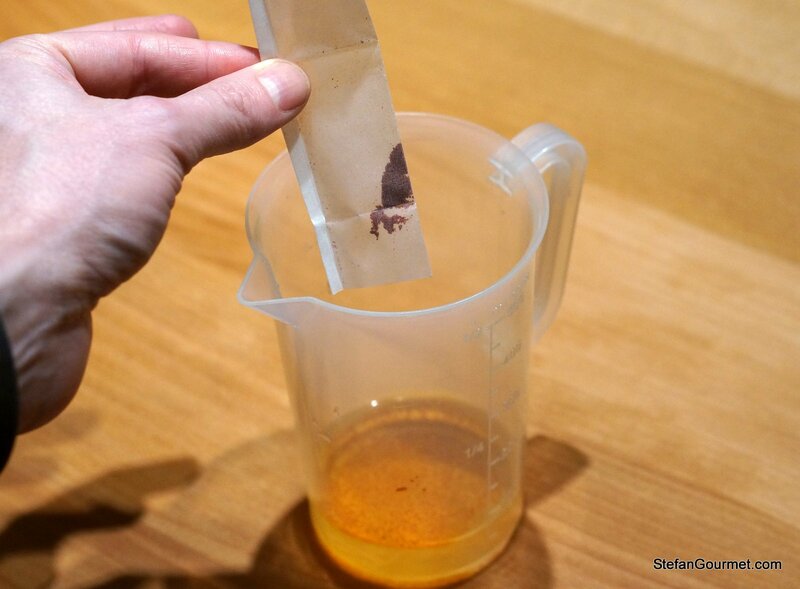 Dissolve the powdered saffron, if using, in 80 ml (1/3 cup) water. 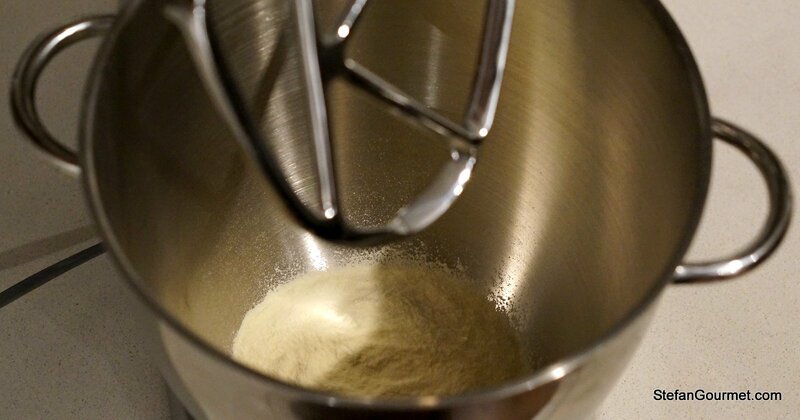 Put the flour in the bowl of a stand mixer fitted with the paddle attachment. Add a pinch of salt (optional). 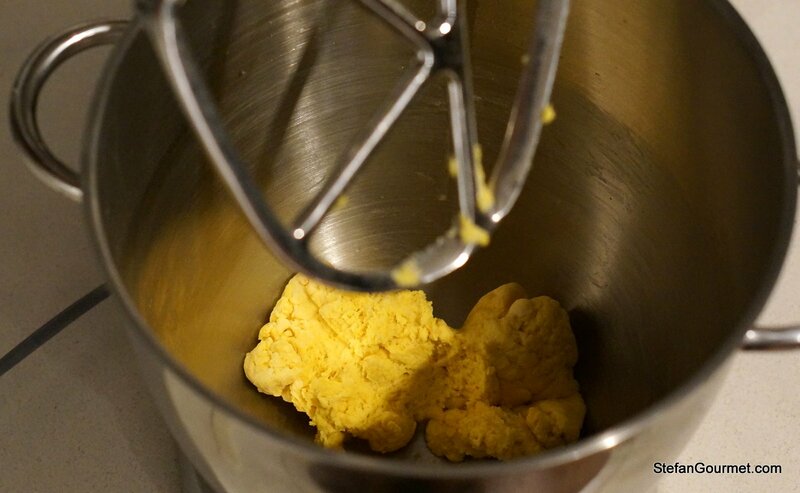 I prefer to make the dough in the stand mixer. You can of course also knead it by hand. 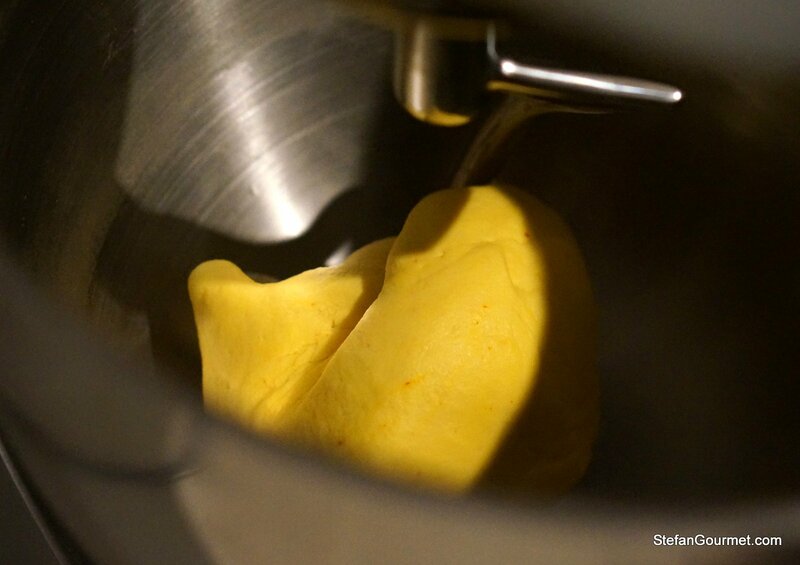 Turn on the machine and slowly add the water with the saffron. The dough will not yet come together. Now very slowly add some more water, just enough to make the dough come together, not more. I added 15 ml (1 Tbsp). 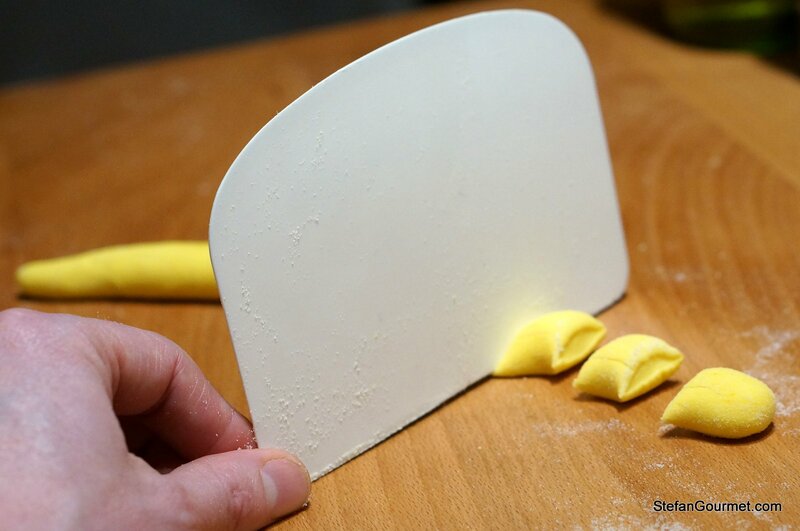 When the dough has come together, remove the paddle attachment and switch over to the dough hook. 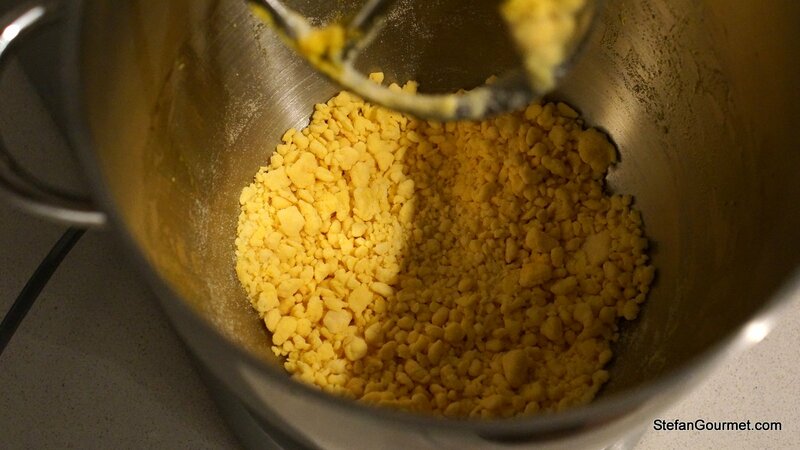 Knead the dough for about 10 minutes or until it is very smooth and pliable. When the dough has rested, take a piece of the dough and on a wooden work surface roll it out with your hands to obtain a thin sausage (about 1 cm or 1/3 inch in diameter). Cut the sausage into pieces of about 1 cm (1/3 inch) each. 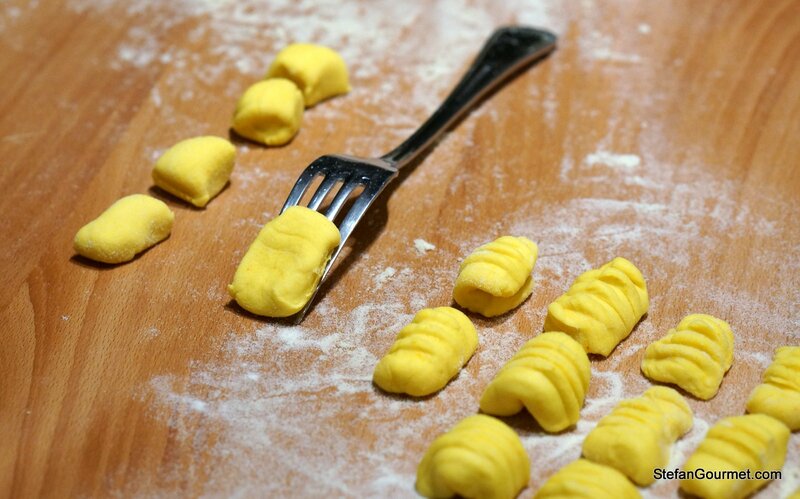 Press each piece of dough on a fork (or on a ribbed gnocchi instrument if you own one). And then ‘roll’ it down so that you end up with a malloreddus that is bent with the ribs on the outside. You could also watch this video. Allow the malloreddus to dry for about an hour on a floured work surface. 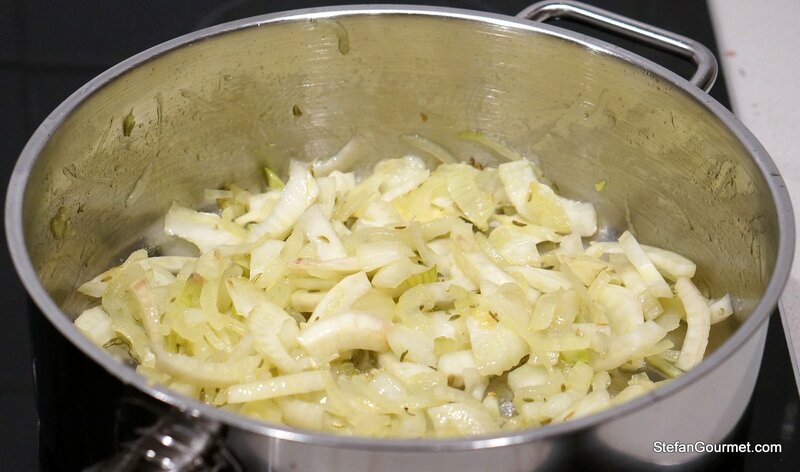 To prepare the sauce, cut the fennel and the onion in quarters and then in thin slices. 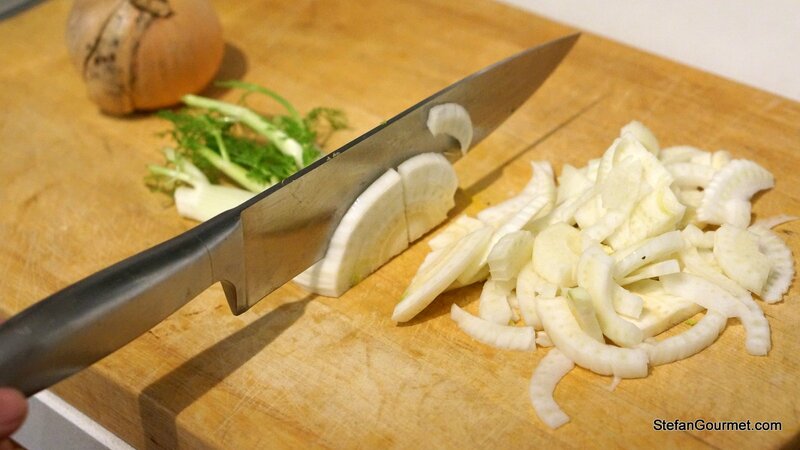 Take the sausage meat out of its casing and chop it. 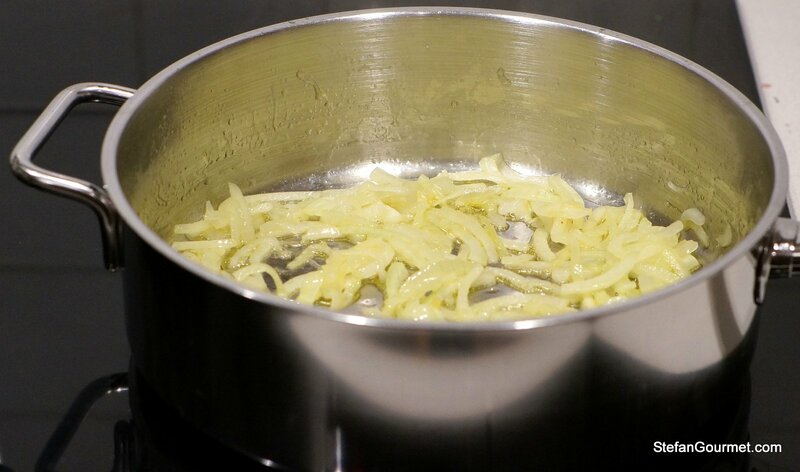 Heat the olive oil in a frying pan and add the onion. 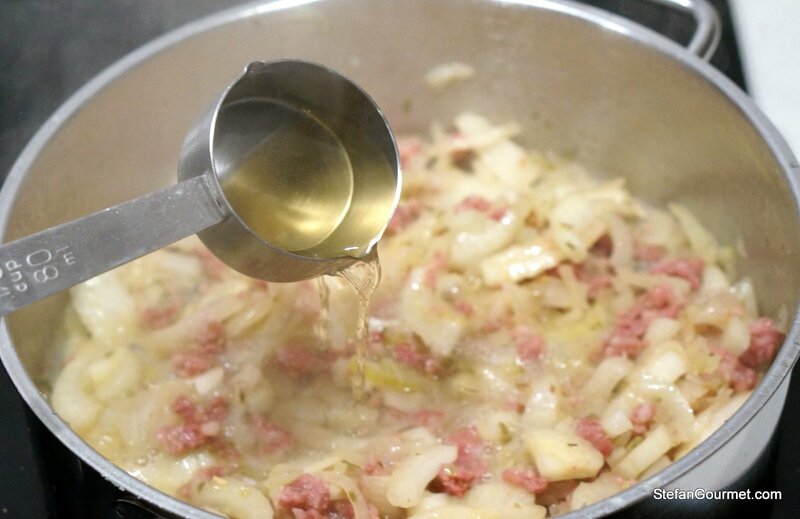 Cook over medium low heat for about 5 minutes or until the onion is soft and fragrant. Add the fennel seeds and the fennel. Sauté over medium heat for a few minutes. 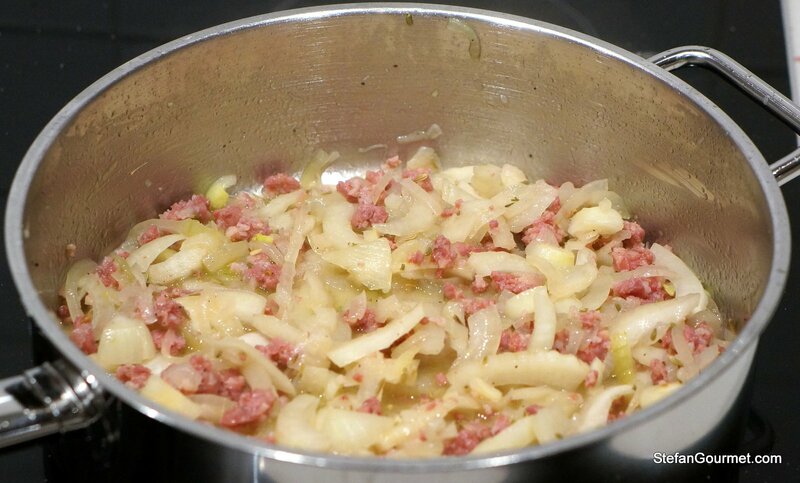 Now add the sausage meat and continue to sauté until the meat has lost its raw color. Cook over low heat until the fennel is tender but still firm to the bite. Taste and adjust the seasoning with salt and freshly ground black pepper. Meanwhile, bring a pot of water to a boil and add salt and the malloreddus. 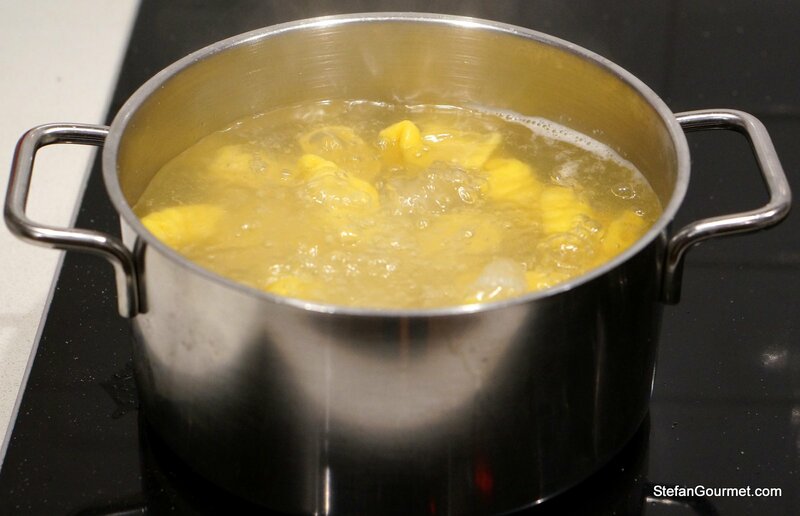 Cook the malloreddus for about 8 minutes or until they are al dente. 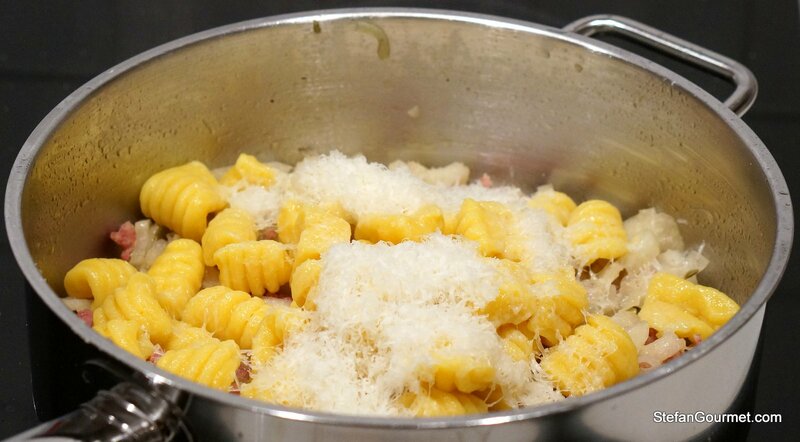 Drain the malloreddus when they are cooked, and add them to the sauce with some freshly grated pecorino sardo. 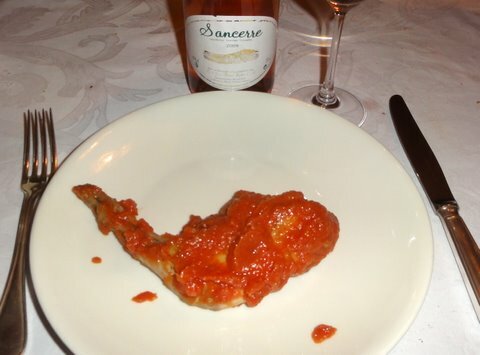 Two years ago I prepared leg of rabbit, poached sous-vide in a fresh tomato sauce. Rabbit is often dry or tough, but with sous-vide it will be tender and juicy. 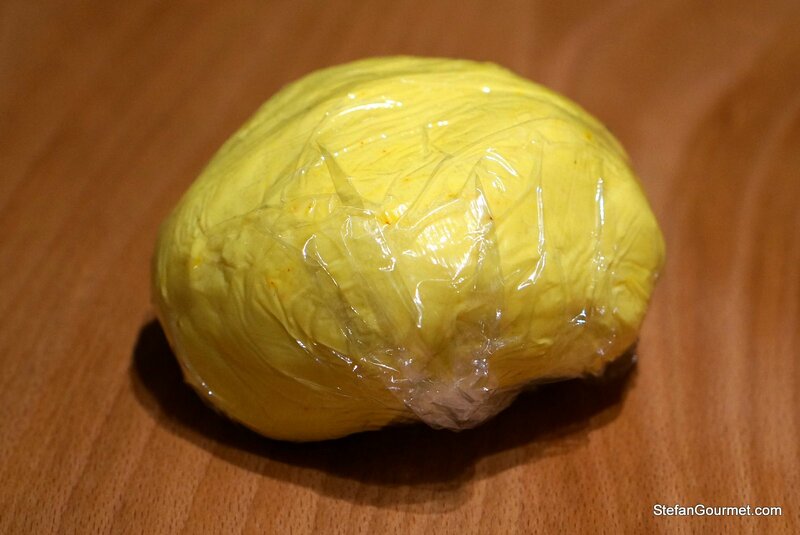 Back then I didn’t have a chamber vacuum sealer nor ziploc sous-vide pouches, so I had to freeze the tomato sauce to be able to vacuum seal it. I have a fennel bulb in the fridge, so will try the sauce. But when do you add the fennel? With the onion or with the white wine? I read it over several times, but I couldn’t spot this info… thanks! The fennel is added with the fennel seeds. Thanks for pointing out I forgot to mention that. Let me know how it turns out. Delicious! 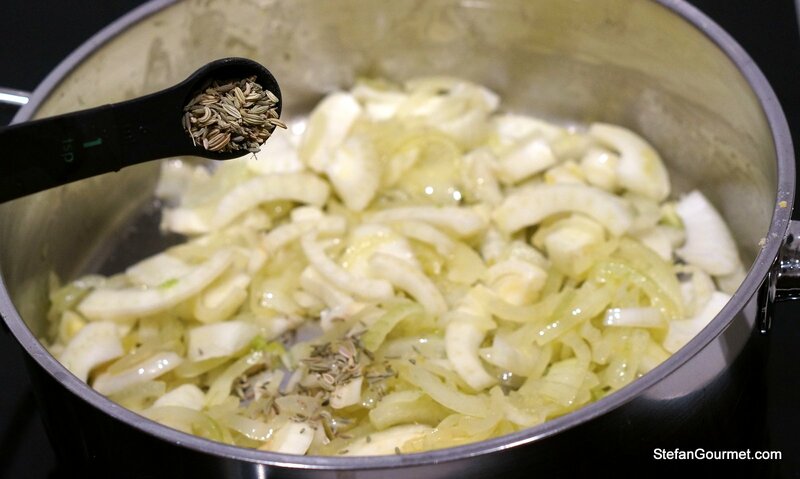 I love the flavour of fennel, and often make a very similar sauce. 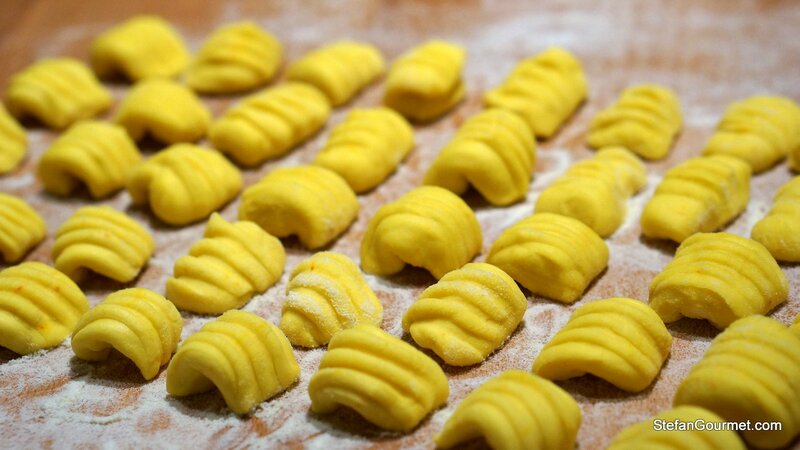 Will have to try my hand at malloreddus pasta! 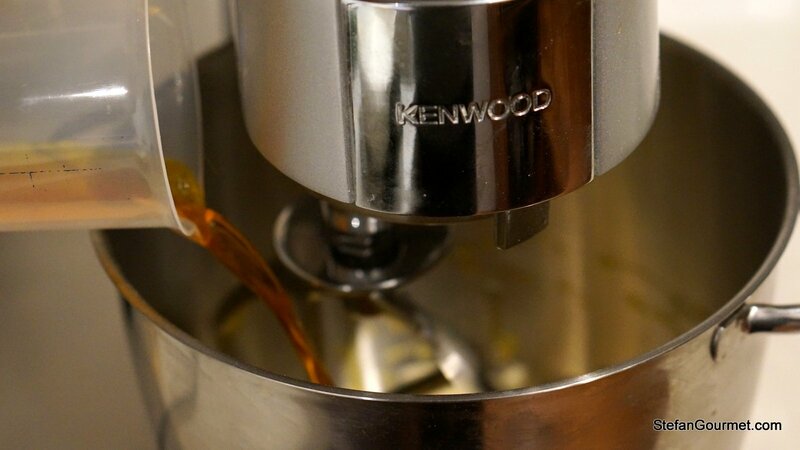 I’ve never owned a stand mixer before and, having just got a nice one for Xmas, this post was helpful. Happy New Year!! That’s a nice X-mas gift! 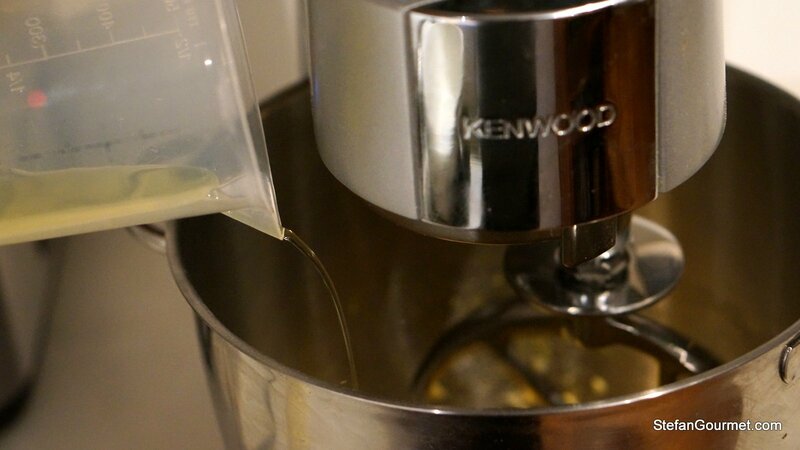 I have some more stand mixer posts on my blog that could be helpful, including how to make bread and how to make fresh pasta dough. Wonderful pasta, Stefan. 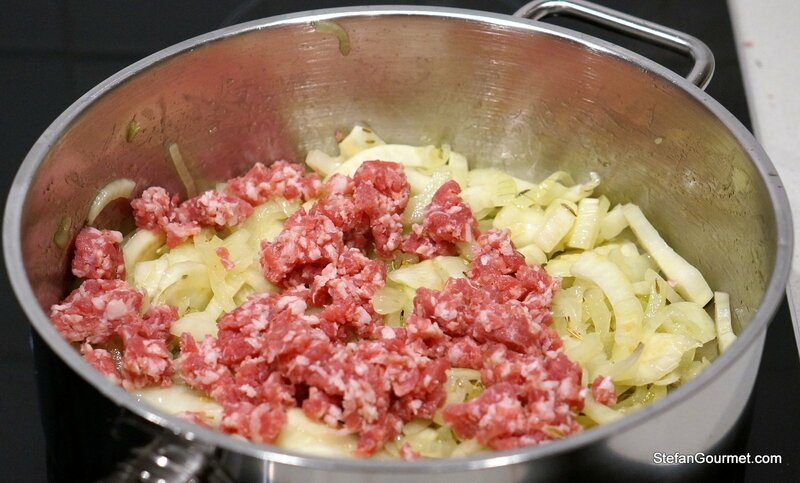 Love the technique and the fennel and sausage combination is a match made in heaven. I love this!! Thanks, Richard. 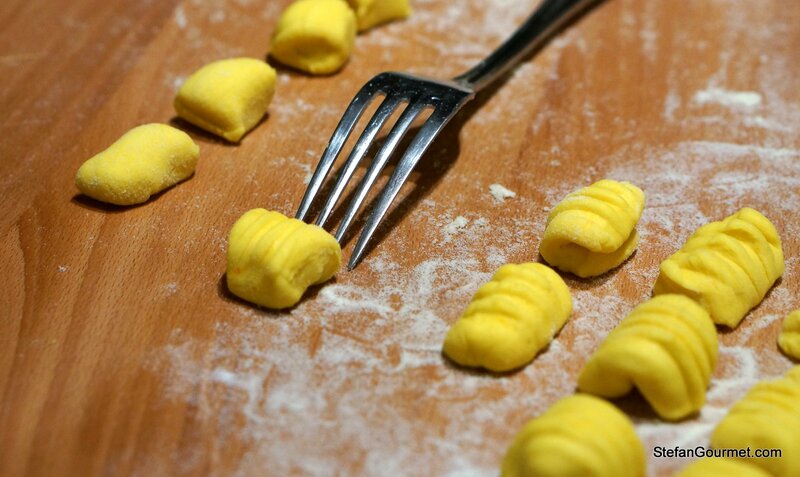 Next time I’m in Italy I’ll have to get me some of those wooden gnocchi contraptions so I can make these the proper way. Another great dish, Stefan. I’ve seen malloreddus but never knew their proper name. 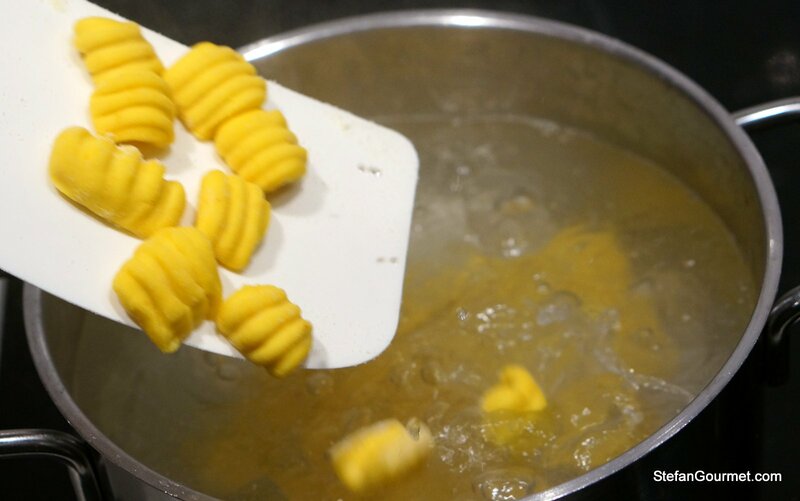 “Gnocchi made with pasta dough” never did seem right. 🙂 I love the effect that the saffron had on the pasta’s color. This must have been a very flavorful dish of pasta. I’m sure Owen was pleased. That is one beautiful looking dish Stefan. I love them, simply! complimenti per il blog! I finally got around to trying this recipe and loved it. I posted about my experiences with it this week. Fennel is back up there on my weekly shopping list now – thanks!